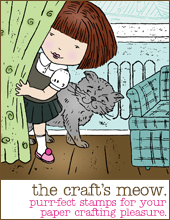 Hello and welcome to The Craft's Meow February release blog hop. Visit The Craft's Meow blog to see the full list of participants. 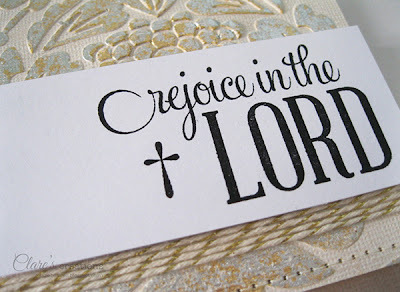 I used the new Rejoice stamp set on my card. I used an interesting technique to create the shimmery background paper, I embossed some Core'dinations cardstock using the Baroque embossing folder from Sizzix, then using a glue pen covered the raised sections (it did take a little while) and added some gilding flakes. I brushed off the excess flakes and buffed to a shine with a soft bristled brush. The lovely large sentiment is from the new Rejoice stamp set, the sentiments in this set are such a great size. They really make a statement. To coordinate with the shimmery background I added some gorgeous Gold Shimmer Twine from SRM Stickers. I love this stunning twine, it really is fabulous! Just a reminder that the Soaring High stamp set is February's free gift with $50 purchase. It really is a fab free gift! 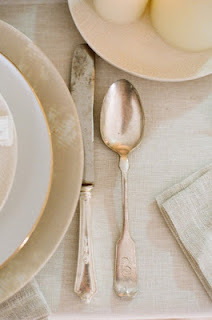 The color inspiration was from this week's Tuesday Trigger - Set The Table at Moxie Fab World, I was really inspired by the metallic elements and neutral tones in the photo. This card is beautiful, Clare. Love the shimmering. Great technique. WOW! your background with the guilding flakes is gorgeous! Oh WOW! You never cease to amaze me, Clare! This beautiful card is such a masterpiece! I'm blown away. The background is FABULOUS, love the embossing and the shimmery gold and silver effect you've created, it's absolutely breathtaking. What a gorgeous card. Love the colour scheme but love even more your new technique. Can't wait to try it for myself this evening. A Beautiful card. So regal looking. Thanks. Wow - you have a lot of patience! However the results are A-MAZ-ING!!!!! Great technique for that embossing folder and I love that pretty twine, which I've never seen before! Gorgeous card, love the technique with that shimmer!! Wow! That technique with the gilding flakes is just awesome. Going to have to try it. Thanks for the great explanation on how to do it. WOW! The gilding looks amazing on this! Beautiful card! Wow...Your card is stunning. I like the background technique you used. Beautiful card. Your textures are great. Love the background! This is a really gorgeous card! What a beautiful card!! I have never seen this technique -- how cool!! Grea Eater card with the CAS look. Stunning...the background and gliding are beautiful! Thanks for shring. WOW, the details are amazing and gorgeous!!!!! I like how fancy schmancy the card is. It's so shiny and gorgeous! So beautiful! I love that technique - worth all the fiddling! Clare this is such a lovely card! 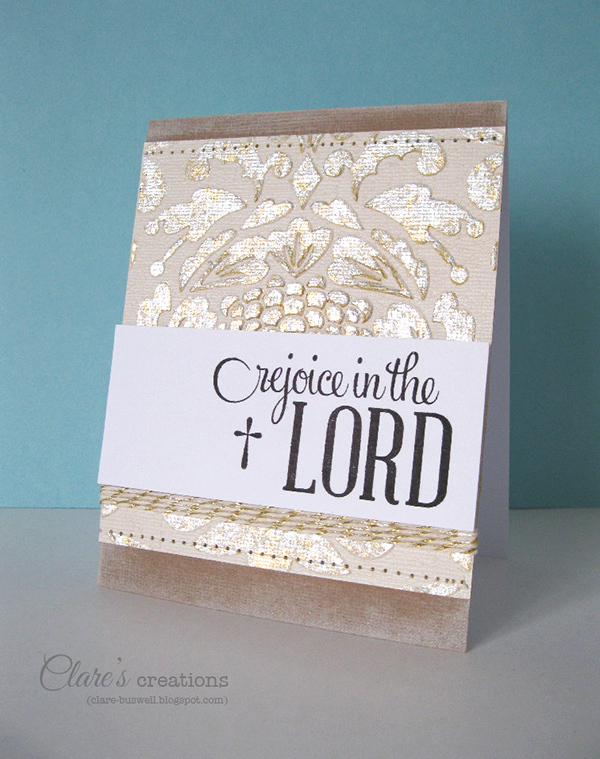 I love the shine you created with the glue on the embossed background. So lovely! 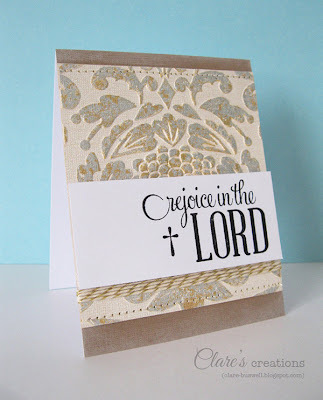 Gorgeous card and love the background. What a beautiful card and a very interesting technique! Thanks for sharing your inspiration and creativity! Gorgeous card! I love how you used the gliding flakes!!! Great cards. Thank you for sharing the technique on the shimmery background. Wow! I love that texture! Gorgeous card! What a fabulous result from this technique! So very elegant and pretty! What a great shimmer technique! Very pretty! Gorgeous card! Your gilded background is beautifully done. Thanks for sharing that technique with your readers. Wow - this card is just amazing! 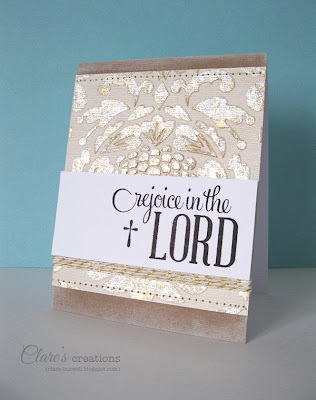 Beautiful card, the gold on the embossing is such a gorgeous touch. What a gorgeous card! LOVE that background! 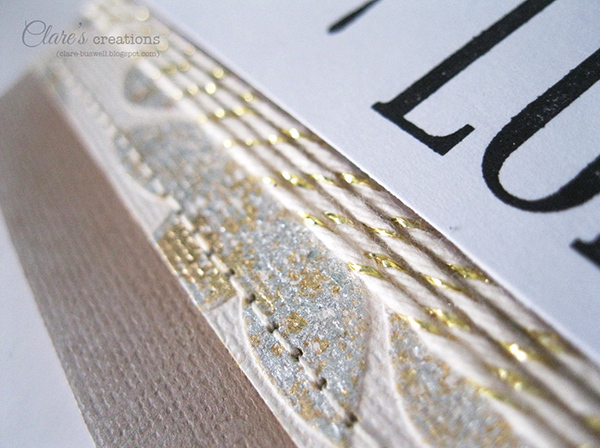 beautiful card... the shimmer effect you created is stunning! Oh, you make me want to ignore the housework to play with techniques tonight! Thanks for the great inspiration! 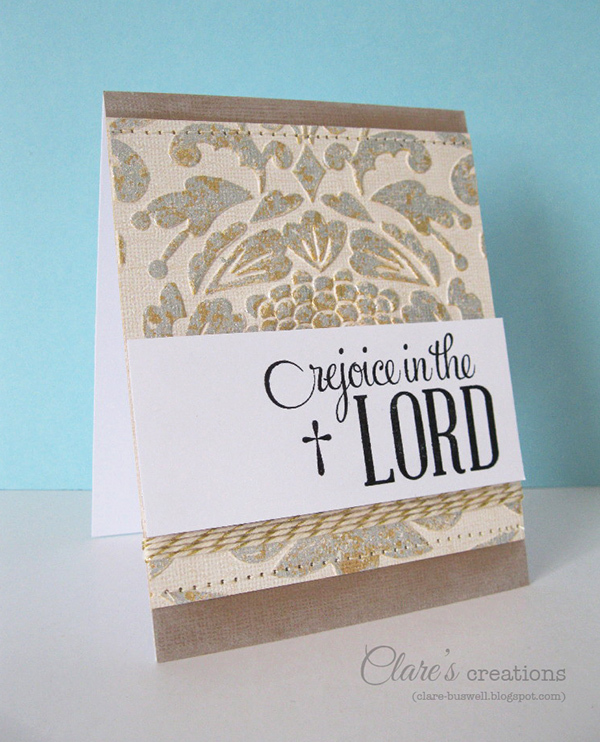 love the textured background, so gorgeous! Such a gorgeous card and wonderful take on the Trigger! 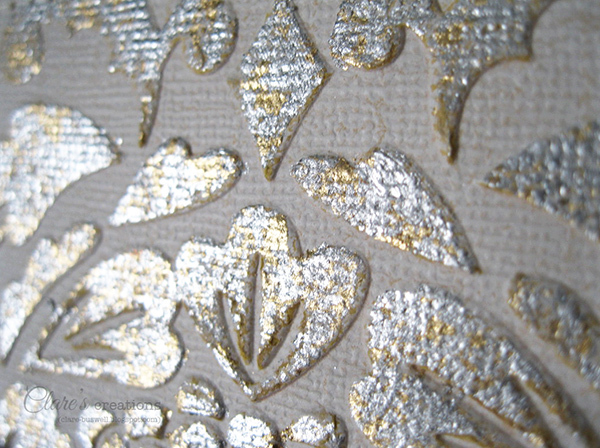 The shimmer and texture is unbelievable. So gorgeous!! LOVE the technique! Wow! I love the look of this card! So pretty!